Little Leo is named after his Great Grandfather who has passed, such a sweet gesture. Leo is the newest addition to the Czinege family, arriving a couple weeks early he just couldn’t wait. He was so good to me during our session, I was able to capture most of his portraits within 45 minutes – what a champ! I love when babies are awake and content, parents always LOVE the open eyed portraits! The best part about summer? Outdoor newborn portraits!! Leo’s Grandma had horses for many years, I just had to get him out there by that fence! My cousin is a dad, how crazy is that?! Congratulation Larry & MJ, you sure do make cute offspring. After 8 years of dating my good friends Katelyn and Colin are FINALLY engaged! I have been looking forward this session for a while now. I took these two (and Kali of course!) down to the quarry for their portrait session. Photographing friends can sometimes be difficult and that was definitely the case with these two – they didn’t want to be cuddly and romantic in their portraits (how do you capture engagement portraits without that?!) but I enjoyed the challenge! Their fur baby, Kali, stole a show a few times during their session. I tricked them into a couple of cutesy-wootsy images though “I’m just going to take a shot of Kali with you guys blurry in the background. Just do whatever back there.” hehehe During the session these two proposed to me – “Will you be our wedding photographer?” and gave me an adorable camera necklace (which I am wearing right now!). Of course I said YES! and I can’t wait to capture what I know will be a beautiful wedding. The necklace and proposal was such a nice gesture. Sometimes choosing between photographer, guest or bridesmaid can be difficult when your friend is a photographer, I am completely honoured and so happy that I didn’t have to be the one to make that decision! Love this laughing one! Katelyn, you are too gorgeous! Completely unposed moments are my absolute favourite!! This image is 100% “Katelyn and Colin”. WAY north or over in Manitoba, wherever you two wed, I’ll be there with a smile on my face and a tear in my eye. So happy for you two and your fur babies! I’m sitting on the porch drinking my morning coffee – my favourite time of the day and coincidentally the time when I get the most thinking done. 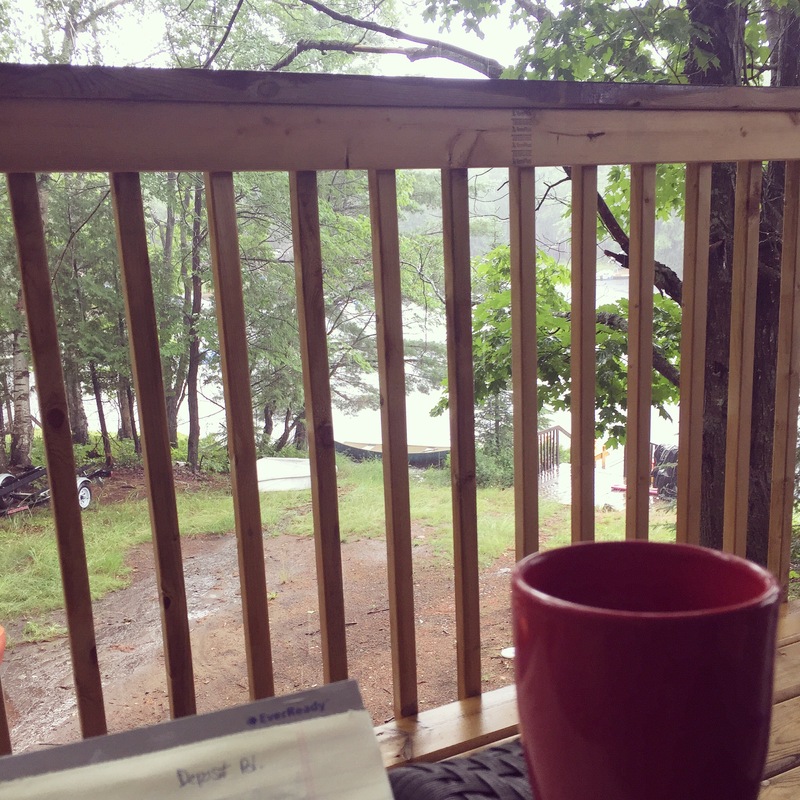 It’s a rainy day here at the cottage, but I’m thankful for the surrenity I feel at this moment. Recently I was playing 20 questions with a friend (I know, we’re adults, who still plays that right?!) The question came up “What is your dream job?” and without hesitation I responded with “I’m doing it.” I don’t take that for granted for one second. I know how fortunate I am to be running my own business and even better, running that business doing what I love. I am thankful for every family that hires me to capture their portraits, without them, without you, I could not continue on. I have had a lot going on in 2016 and my blog posts have taken the brunt of the neglect. They’ve become “here are the photographs from my recent session” mashed with “look how cute this baby is” – don’t worry, I’ve noticed too! I’ve been meaning to write an update for a while, filling you in on what’s going on in my life. No better time than the present right? During the Winter, as many photographs can attest, it can get very boring. Days are short, leaving the house means shovelling 2 feet of snow off your car (okay, maybe I’m exaggerating but it sure feels that way!) and self-motivation reaches an all time low. With the exception of newborn sessions, sessions are few and far between, you don’t want to be outside for an hour and neither do I! In January a job opportunity fell into my lap. 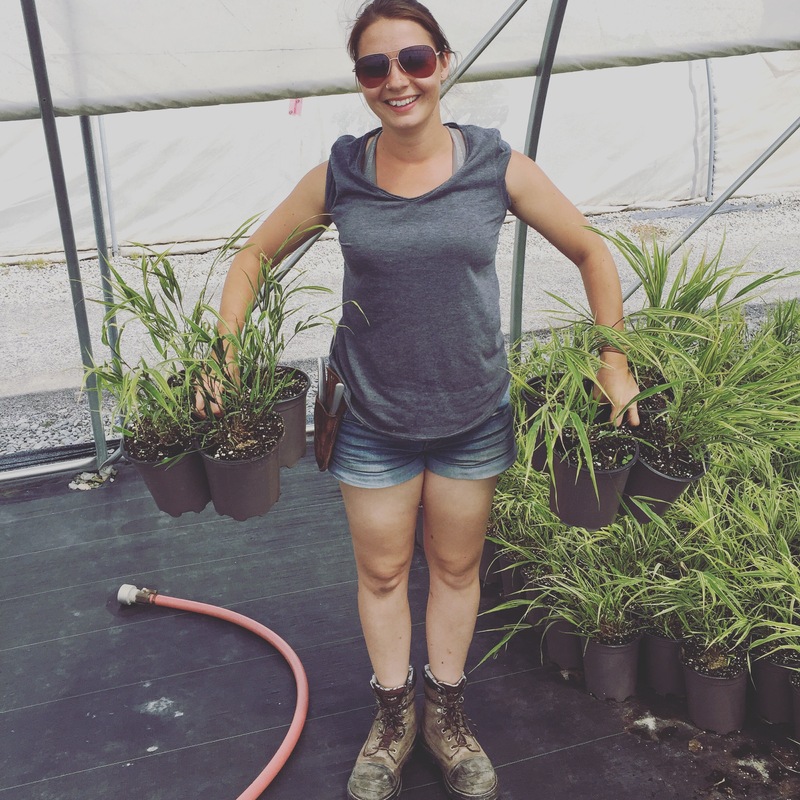 It was also doing something I love – working with plants in a nursery. The timing was perfect and I couldn’t picture myself doing any other part-time job (fast food, no thanks!). I debated for a very long time; should I accept the job? Does that mean I’ve failed as a photographer? I’ve worked so hard to get people to respect my career choice, what will they think? After 3 years of being a full-time photographer I would no longer be able to answer the “do you do this full time?” question with yes. When I started I had no idea how much I would fall in love with this place. I’ve made some great friends, I’m learning Spanish from all of my Mexican Amigos, if you follow me on Instagram you know how proud I am of my newly acquired muscles and as much as I make fun of my AWFUL tanlines, I’m proud of those too. I never thought I’d make it past my first few months of pain but I did. Then I didn’t think I’d make it through the 70 hour weeks, but I did. Now I’m not sure I’ll make it through the heat this summer – but I’m going to give it my all. If or when the time comes that I need to say goodbye to the nursery, it’s going to be a sad day, or week, or more – because I truly love it there! But for now I am putting all my energy into doing both. It makes things a little more difficult only being available 3 days a week for sessions, but I appreciate your patience and flexibility. I smell bacon, which is my que to wrap this up. Nathaniel. Nicholas is such a loving big brother. He was so interested in what I do and wanted to help every step of the way. He agreed to let me capture some images if I played with him. Win, win! Nathaniel has the sweetest little bits. I could not get enough baby cuddles. Dad was VERY excited about this set-up. I’ve been dying to use this crate, Nathaniel just fit in it so perfectly. When Mom mentioned that this was Dad’s hat, I knew we had to use it in a photograph. The point on it is so adorable. I can’t wait to spend more time with this family.